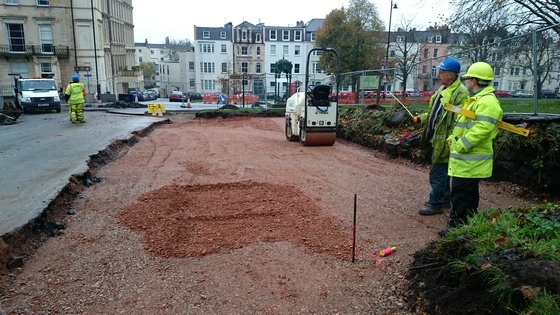 Bristol's neighbourhood partnerships provide a way to get local roads improved. Each of the 14 Partnerships have a budget of around £40,000 to £60,000 to spend each year, and they can choose to spend some of this on one road improvement scheme. The schemes usually help to improve the safety and feel of roads within the Partnerships. Traffic Choices Tracker shows if the concern or suggestion has already been logged. Logged concerns will be considered this year against other concerns already raised with the partnership. You can follow the progress of this concern (or “issue”), as well as other concerns using the tracker. It'll help you consider all the available options for traffic problems, and give you a good idea of what could work best on your roads. Cost estimates are given for each option, but this can vary. This will be especially useful at Neighbourhood Forums or Transport Groups, if you go to these. It tracks the decision process within the neighbourhood partnership, which involves a number of special transport group meetings. At these meetings the partnership prioritises the most important issues, and works up proposals to attempt to cure the problem. One proposal is chosen each year, and the tracker continues to display progress on design work and construction. The neighbourhood partnerships prioritise issues they feel are most important, and work on proposals with Bristol City Council’s engineers.